​Considered among Disney’s ‘moderate’ resort offerings are the cabins at the Fort Wilderness Resort and Campgrounds. At 504 square feet, these cabins can sleep six, offer a full kitchen, separate bedroom with one double bed and a bunk bed, as well as a murphy bed in the living room. Part of the charm surrounding these cabins is the solitude you feel even though you are just minutes from the Magic Kingdom. Fort Wilderness is also home to the venerable Hoop Dee Doo Review - the longest running dinner show in America and a ‘must-see’ for anyone staying at the resort (or anyone visiting Disney World for that matter). Nestled away on a 750 acre cypress and pine forest between the Magic Kingdom and Epcot, sits the Fort Wilderness Resort and Campground. This resort offers the best of the outdoors and even offers one bedroom cabins for those who prefer the “great indoors”. There are 788 campsites ranging in length from 25’ to 65’, for tents, tent trailers and recreational vehicles. New extensions are currently being made for larger campers vehicles. As you might expect “in the wild”, there are rabbits, ducks, geese, deer, armadillos, and peacocks roaming the grounds. The Settlement Recreation Area is on Bay Lake and includes the marina, beach, Pioneer Hall and the Tri-Circle-D Ranch. The Settlement Trading Post sells gifts, sundries, groceries, snacks and beverages. 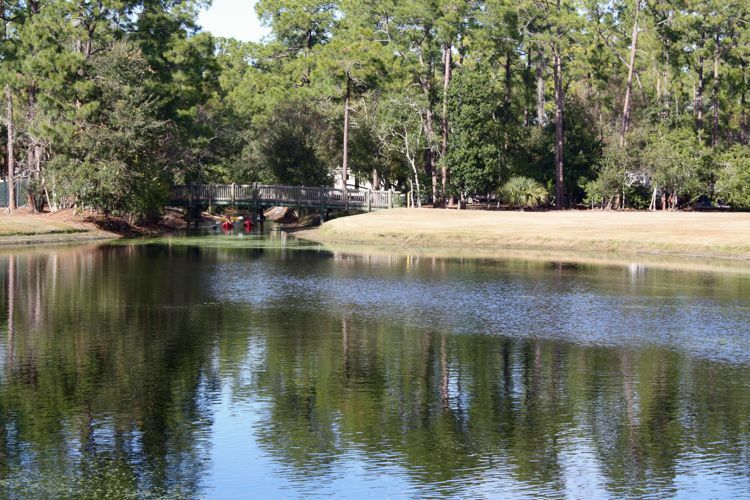 The Meadows Recreation Area is in the center of Fort Wilderness. This area includes the Bike Barn (for rentals) and the Fort Wilderness waterways and bicycle trails. Swimming, tennis, volleyball and shuffleboard are all available at the Meadows Recreation complex. The Meadows Trading Post is similar to the Settlement Trading Post, but includes a deli as well. There are currently 11 reviews for Fort Wilderness Resort Campground. 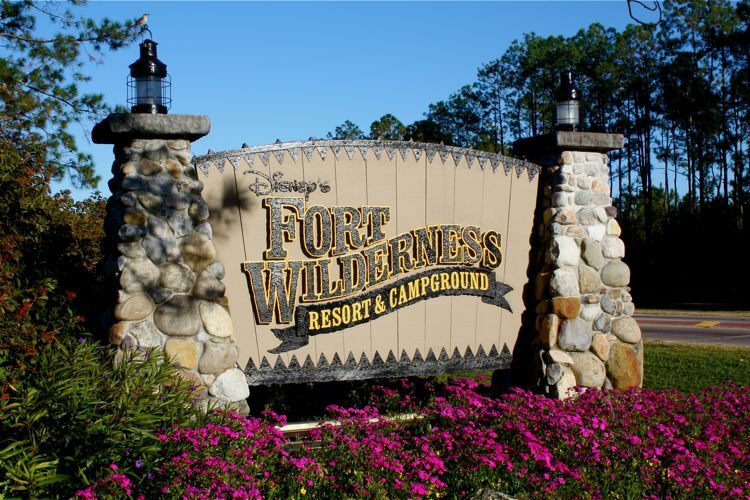 Read Full Fort Wilderness Resort Campground Reviews! You can also search for Cabins at Disney’s Fort Wilderness Resort and Campground specific threads! These air conditioned free-standing dwellings are approximately 504 square feet, 12’ wide by 42’ long. Each cabin has a separate bedroom with a double bed, bunk beds and a pull down bed in the living area. The cabins will sleep 6 people. There is a full bathroom, with hair dryer, and a living/dining area. This area has a sofa and cable TV/VCR. The dining area has seating for 6. You’ll also be provided with an iron/ironing board.